Do you know someone who has battled to overcome serious injury or illness, or who has supported others to do so? Dorset HealthCare is looking for inspirational stories of courage, kindness and determination to showcase at an upcoming awards ceremony. The 2018 Road to Wellness awards in March will spotlight people across the county who have faced debilitating physical or mental health problems, which they are living with or are making a good recovery from. They will also be celebrating the important role of carers, with the Carer Award. Shortlisted nominees across six categories will be invited to a ceremony at Lighthouse, Poole’s centre of the arts in March. Anyone can nominate – but the form must be submitted by midnight on Friday 2 February. · Group Award – where a group of people have regularly supported each other in making a recovery. · Kindness Award – where someone demonstrated extreme kindness and understanding towards people who need help. · Inspiration Award – where a person has become a great role model for others by fighting to overcome severe difficulties in living with a mental of physical health condition. · Courage Award – where a person has been particularly brave, determined and positive on their road to wellness. · Carer Award – where someone has shown outstanding commitment, support and positivity to aid another person through their health issues. · Outstanding Achievement Award – a particularly powerful story where someone has managed their recovery exceptionally well or made an outstanding contribution to their community. Preferably nominees will have used a service provided by Dorset HealthCare. Anyone can submit a nomination. If you are not sure which category your nominee fits into, you can nominate them for more than one award. The 2018 winners will be announced at The Lighthouse on Tuesday, 20 March. The evening will start with a buffet at 5.45pm followed by the awards ceremony at 6.30pm. 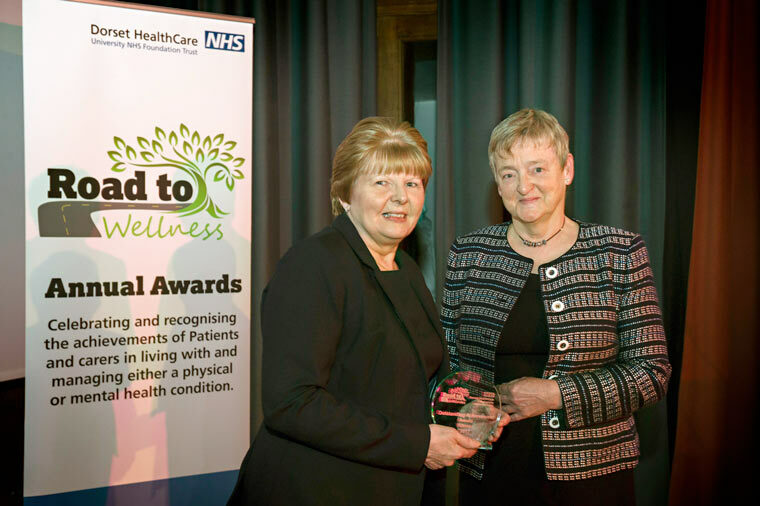 To nominate a patient, carer or group, or book your place at the awards, go to www.dorsethealthcare.nhs.uk/road-wellness or call 01202 277085. You can also pick up a paper nomination form at your local community hospital or other Dorset HealthCare site. Please make sure you have the consent of the person you are nominating.